Sustainability and an environmentally friendly community are amenities that more and more homebuyers are looking for, according to a recent survey by the National Association of Realtors. Here is perhaps the most obvious sign that green technology is a growing amenity in home sales: 43 percent of Realtors surveyed said their Multiple Listing Services include information on a property’s green features, whereas 19 percent do not, according to NAR’s Realtors and Sustainability report issued Thursday. Similarly, a partnership between the Appraisal Institute and the Residential Energy Services network will allow a home’s “green” score to be incorporated into a home’s appraisal. 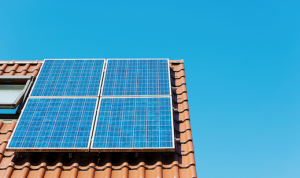 To meet the needs of these clients, Realtors have to be well versed in the newest green technology and home amenities, as NAR believes more and more buyers will want green technologies in their new homes.